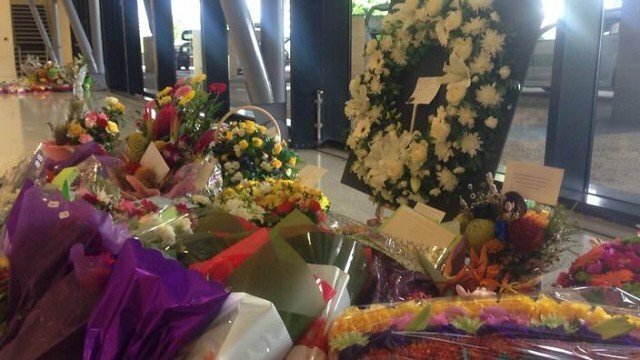 The funerals of eight Australian children found dead in the north-eastern city of Cairns last month have been attended by thousands of people. The service is called Keriba Omasker, which means “our children” in the ancestral language of the children. The mother of seven of the children has been charged with their murders. The other victim was her niece. The four boys and four girls were aged between 18 months and 14 years. Almost 5,000 people heard prayers and tributes to the children at a memorial service. Tony Abbott and other Australian political leaders laid wreaths. Hearses are taking the children’s bodies to Martyn Place Cemetery, where they will be laid to rest. The mother, Mersane Warria, 37, is being treated in hospital. She is not reported to be attending the funeral. There are plans to demolish the house where the children died, to be replaced with a public memorial.